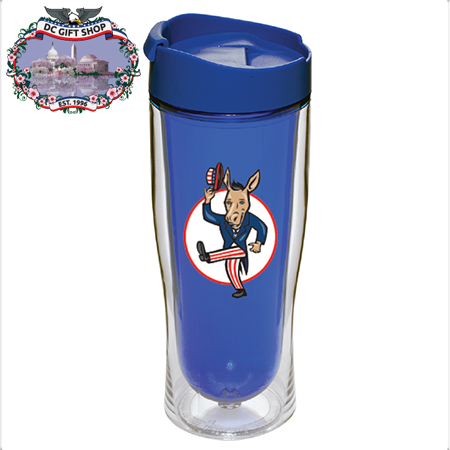 This fun Democrat Party drink tumbler is ideal for everyday use and makes a wonderful gift. Our 16 ounce blue mug is BPA free vacuum-sealed and double insulated to keep your beverage hot or cold longer while hands stay free of condensation. 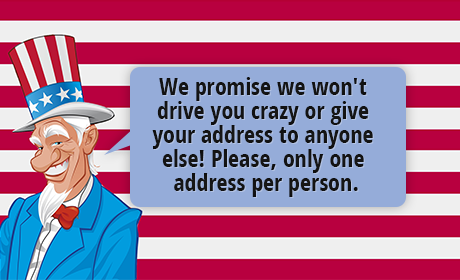 A blue spill proof flip-top lid screws on an off easily, and an embossed waving Vaudeville GOP Elephant logo adorns the front. Handwash only. Do not microwave.